LOS ANGELES -- Police arrested a 24-year-old woman after her car crashed into an apartment complex in South Los Angeles, killing a 5-year-old boy and injuring several others, CBS Los Angeles reports. The crash was reported just after midnight Wednesday, police said. Upon arrival, authorities found a mother, father and their 5-year-old son pinned underneath a vehicle inside their ground-floor apartment. Paramedics transported the victims, along with two girls aged 12 and 6, to USC Medical Center for treatment of injuries sustained in the crash. The boy succumbed to his injuries at the hospital. The conditions of the other victims were not immediately known. A preliminary investigation found the driver crashed through the wall of a bedroom inside the family’s apartment. The father jumped in front of his son in an effort to protect him from the oncoming vehicle, which led to them both being pinned underneath one of the car’s tires. The boy was sleeping on the couch with his parents when the car barreled through the wall. According to a police lieutenant, the driver said another vehicle cut her off, which caused her vehicle to swerve and crash into the building. The female driver was arrested at the scene for allegedly driving under the influence. Detectives were searching for a 1995-99 vehicle that may have been involved in the crash. 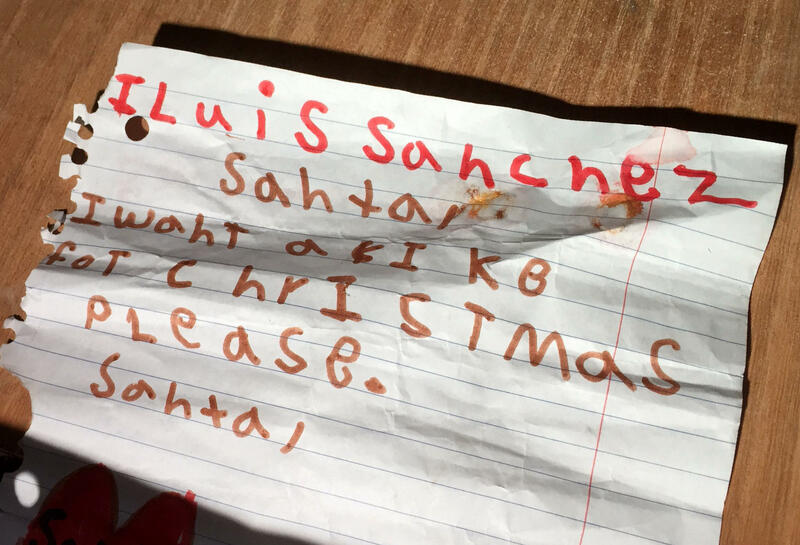 Authorities located a letter written to Santa on top of the rubble inside the apartment. Police said the note, which asked for a bicycle for Christmas, was written by the young boy who was killed.